I learned to drum in Ubaka Hill’s DrumSong Orchestra at MichFest. I’m sure she wouldn’t even recognize me as a two-time participant (that’s peanuts — although I did have the honor once of doing vocal improv on stage with her and several other women at a concert she did at a church in St. Paul), but from her I learned how to play some basic, passable, serviceable rhythms on the djembe, rhythms which have given me much joy and have helped me to express many songs and chants. It was in those sessions in the tent on those hot August days that I began to understand myself as a drummer, and eventually to claim and own that part of myself. I also enjoyed Ubaka’s talks on social issues and philosophies of music and sound and drumming. In one of these, she discussed the tendencies of men and women to choose higher or lower drums. Women, she proposed, often liked to play big, low-toned drums to compensate for, or balance out, a high vocal range. Through the drums they could express those parts of themselves that vibrated with deep notes, and men often sought the same balancing with smaller, higher-pitched drums. She drew the connection between the tones of the drums and the chakras, and suggested that women would benefit from playing the smaller drums too, because their sounds resonated more with the higher chakras. … A theory, and reasonable enough, in my opinion. At the time, though, I remember thinking that I was more drawn (or at least equally so) to the higher-pitched drums and other instruments. I hypothesized that I feel the urge to fill in the high notes because of my low alto singing voice. I’ve always felt self conscious about my upper cut-off, and sometimes, while singing along with a fearless soprano, I feel a blankness where no sound comes out, and wish that I had some way to externalize that feeling, to express it in a vibration that can be heard. When I play high notes on my guitar, or uke, or on a sharp, tight doumbek (which I only wish I could play), it gives me such a feeling of satisfaction, like that pent up sound is finally being let out. The feeling in my chest is as the excess air hissing out of an overinflated tire. The other night after I was playing the guitar for a while and leading a dance, someone who’s a good guitar player told me she noticed I play only my high strings, never the low ones. I told her my theory about the high notes and the low voice. She didn’t dismiss it, but said that in her opinion, the way I was playing did not make me sound commanding. I said I didn’t want to sound wishy-washy … ! She said it wasn’t that exactly, but she noticed the absence of low notes when I was playing. I’m a guitar student without a teacher who takes advice and feedback and instruction wherever she can get it. I take it to heart and try to use it to improve myself and my playing as much as I am able. I consider this information. To me it feels like maybe a lack of foundation in my playing, maybe the instability of my fundamental insecurity about whether I will be allowed to play at all, and if I am, whether I will just embarrass myself. Maybe I need to just get over it. I want to be able to play all the notes. I want to embrace and love every part of myself. I want to shake off that dang insecurity that keeps me down as a musician! So I’ll keep working on it — get knocked down and get up again (in the words of Chumbawamba — I really love that song, not even kidding). My ego gets some message that it interprets as a need for shame. I lose confidence in myself, I think I’m a total loser idiot, I sulk … and eventually I just put it out of my mind, lalalalalalala, and go back to doing the thing I love doing and being goofily grateful that people let me do it. Hm, yeah, I think a little more confidence would soften up that cycle a lot. I was shocked at first to hear her say this. I’m not inexperienced; I’ve done massage in a city clinic and a super swanky resort spa and various places in between. I’ve often been complimented on how I can touch a body and know exactly what it needs. How was this woman not picking up on that??? But by the time she came to that last bit, about it coming from deep in the heart — I was actually smiling. Because I knew what she was talking about. Although she didn’t quite get the reason, she did sense the truth: it wasn’t coming from deep in my heart, and if I was honest, I already knew that. Of course, it was still a blow to my ego. Part of me just wanted to give her the finger. And then go home and cry. That same part wanted to say (maybe in a follow up email), “Look, lady, you’re on crack. I’ve worked at way fancier, way more reputable spas than this old joint, and everyone loved my massages and loved ME. And PS, your advertising is racist. If you didn’t feel my heart, it’s because I don’t want to work here anyway!” Etc. But that wouldn’t be true — at least not the part about how I’m awesome and she was just too much on crack to realize it. She was totally right that I was, on some level, checked out, and it wasn’t just because of my ambivalence about this spa. I wanted the job for various reasons, mainly that it was close to my home and I need the money. But in my heart, I don’t really want to do massage as a job anymore. For a few people whom I care about, yes, but I think I am done pursuing it actively, at least at this time. Writing it publicly like this makes me go “eek!” inside, and brings up a ton of fear and shame and self doubt. But as I shared in Sam’s Phoenix Rising group in December, my heart and soul are yearning for consolidation. I don’t want to split my attention between two totally separate careers anymore. I want to teach full time. I want it with a passion. 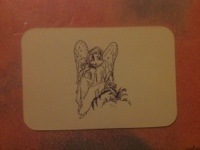 The funny thing was that right before I walked out the door for the interview, I drew a card from the angel box and the card I got was the Angel of Miracles. I certainly had an idea about what that meant when I left the house — and a very different idea when I got back. I thought, maybe the miracle is that my soul truth made itself known in a way that saved me from a job that would have drained my energy away from following my true dream. Or maybe the miracle is that I saw it that way. I am humbled but grateful. I find it peculiar that in all the media references to the Mayan calendar business re: 12/21/12, the only aspect of the hype that any reporter or mainstream commentator (at least that I heard, which to be honest is not a very broad sample) mentioned was the supposed end of the world. I know there were folks out there who did interpret this 2012 stuff as an apocalypse prophecy, and also those who tried to scam the former group into buying doomsday condos in the remote Caucasus mountains or whatever it was. But this seemed like a fringe element to me. Far fewer people seemed to REALLY expect huge disasters than, say, at the time of the whole Y2K thing. That’s just my observation. In my actual life, I know a lot of people who were and remain strongly invested in the concept of 2012, not as the end of the world, but as the end of an era. Or, as they might put it better, the beginning of something new. 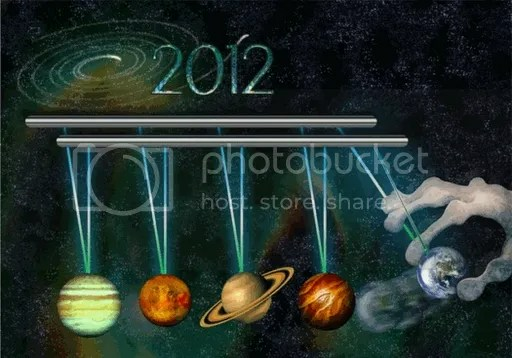 Most people I know who took the idea of something happening on 12/21/12 (and/or 12/12/12) seriously thought it would be something like an infusion of new energies into our spiritual bodies or the planet, or an evolutionary advance in the spiritual plane for some or all beings on Earth. Some also thought of it as a dramatic shift in the values or priorities of our culture(s). This shift might be a smooth and easy experience of raised energy leading to better choices, or civilizations might be forced to change their ways through difficult trials and suffering brought by the many errors of our previous ways. So in that sense some would say there could be some events that might actually seem “apocalyptic,” but they are really opportunities for humanity to realize the damage it’s doing. Imagine if the media actually reported on and discussed that! What a different tone that would be, and what possibilities for national self-examination that would bring! For myself, what I noticed on 12/21/12 was an immediate resurgence of personal issues (or as some would say, character defects) that I thought I had more or less licked! First thing that morning, I dealt with an emotional meltdown, then had a few more in the next week. I there are still rooms in my house that need to be cleaned out (which shouldn’t come as a surprise!). I would think the message from the Universe will be different for everybody, but for me I get the sense that Spirit is letting me know what are the most pressing issues for me to work on, the biggest things currently separating me from a peaceful and harmonious existence. I’ll be honest, this does not sound like a picnic to me — in fact it stirs a lot of fears about living without the old familiar (though harmful) coping mechanisms — but I feel willing to go there … hopefully without too much kicking and screaming. In 2013, I ask for guidance about how best to serve and help the world. I want my life to add positive, tangible good to the balance of existence on this planet. It is my intention to bring my life into greater alignment with the Highest Good. Happy New Year everybody! Love and blessings to you all!